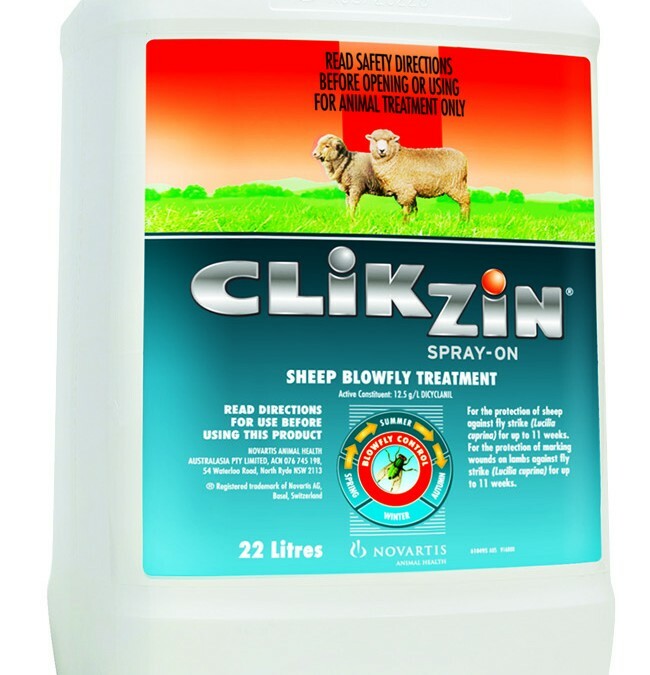 CLiKZiN® Spray On provides effective short term protection against blowfly strike for up to 11 weeks for sheep of all breeds and wool lengths. With a short 7 day withholding period, CLiKZiN is ideally suited for protecting sheep intended for slaughter and lambs following marking. In 5L, 20L an 22L. • Short meat WHP/ESI is ideally suited for protecting sheep intended for slaughter. • Short 1 month wool WHP allows for increased market flexibility and for use late in the season. • For the protection of marking wounds during the wound healing process in lambs. WOOL: DO NOT USE less than 1 month before shearing.